Oracle Primavera P6 | Find pricing & system requirements | Taradigm, Inc.
Primavera P6 Professional Project Management is designed to handle large scale, highly sophisticated and multifaceted projects. It can be used to organize projects up to 100,000 activities, and it provides unlimited resources and an unlimited number of target plans. P6 ePPM = P6 Web + P6 PPM. There is currently no upgrade path from P6 PPM to P6 ePPM. The price difference between P6 ePPM and P6 PPM is relatively small. P6 PPM is a ‘thick-client,’ application that is installed on a user’s computer and is connected to a network database or locally installed database (or both). P6 ePPM is installed on a network only. P6 ePPM includes robust dashboard functionality and features. P6 ePPM includes an instance of Progress Reporter. If P6 ePPM is installed, the Administrative tools reside in the web-client. If only P6 PPM is installed and connected to a PPM database, the tools reside in the thick-client application. What is the Oracle/Primavera licensing model? Commonly referred to as a “Named User License,” model, a valid license is required for each unique user. What about concurrent licensing; can I have multiple users share a license? No, each user, regardless of administratively established security settings must have unique log-in credentials (user name/password). Oracle does not support a concurrent license model (once available from Primavera). Are multiple users allowed to be in the same project at the same time? Yes, there are no restrictions other than administratively established security settings, against multiple users accessing a project simultaneously. Each valid, licensed user may open and interact with any project that they’ve been given access to. What about ‘read-only,’ users, do they need a license? Yes, an administrator can establish what and how a user can access, including read-only privileges, however the user still needs a license. Can I restrict simultaneous user access to projects? Yes, there are multiple options available to manage the access of your project(s) and database. What happens when a user leaves the company? An administrator from your organization can re-assign a license without involving Oracle. Can I transfer the license to a different organization? Generally no; only certain circumstances allow for the transfer of license(s) registration to organizations that are different from the originally registered end-user organization. This type of transaction requires the involvement of Oracle. Are there functional benefits to the named user license model? A best-practice includes the establishment of security groups in which each new user is added and subsequently inheriting its defined access and software use attributes. The system’s audit trail capabilities will track who has accessed a database and what they’ve modified; additionally, a key feature/function includes the establishment of Layouts, which is configured to suit the unique user. *This systems requirements matrix represents a subset of all supported configurations. Check the currently published by Oracle Tested Configurations documentation and Administration Guides before making any purchase decisions. Use this table to compare Primavera P6 version updates. The ‘Cumlative Feature Overview Tool’ column provides tools for finding out your current version of P6, version history and differences between versions. Please contact us for update implementation options. 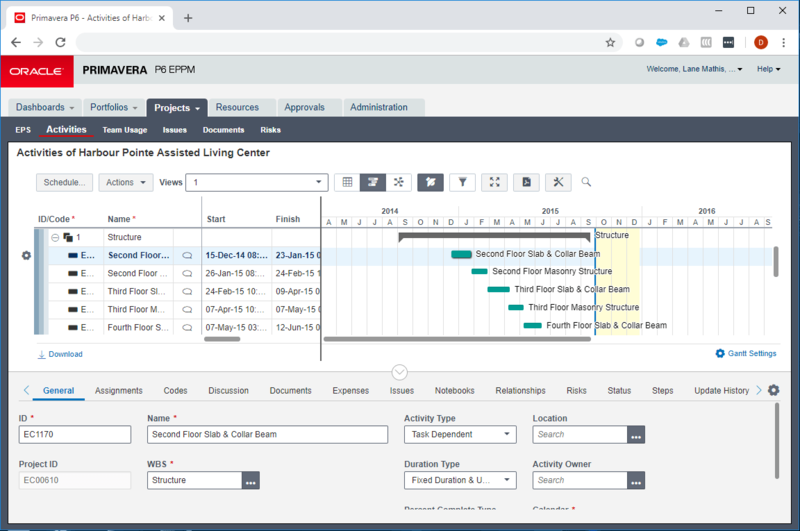 The Primavera P6 Progress Reporter module is a web-based timesheets and progress-reporting system that is intelligently integrated with Primavera P6 Enterprise Project Portfolio Management project schedules. Team members see a simple cross-project to-do list of their work assignments that is generated by Primavera P6 EPPM. 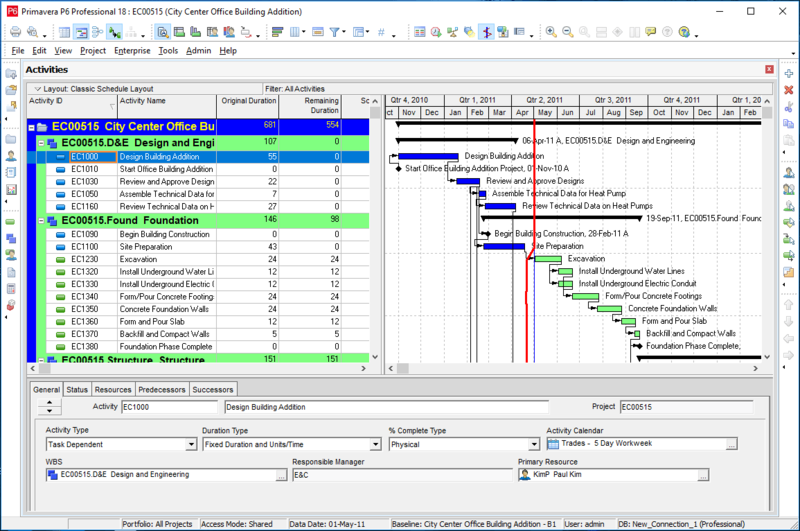 Project team members can record time worked and enter information about their project assignments and the information is seamlessly transmitted to the appropriate approver in Primavera P6 EPPM. Regardless of location, team members can communicate timesheet and activity status directly to their managers including updated forecasts for remaining work. Taradigm offers comprehensive solutions for implementing Primavera P6 into your organization’s best practices. We provide a range of custom services including implementation and user training. Our expert consultants can even provide scheduling for you. Select an option below to explore our services.